We will be dedicating several upcoming blog posts to OASIS C2 in order to reduce the chances of you and your staff getting caught off guard by the new changes. Additionally, we will be providing best practice-based steps to answer these questions as accurately and thoroughly as possible. Since these new items are quite longer than the OASIS items we generally cover in the blog, each item will be broken into pieces in order to reduce confusion and allow you to take your time in getting familiar with them. The following tips may assist staff in determining whether a disease or condition may be identified as an active diagnosis on the OASIS. - There must be specific documentation in the medical record by a physician (or nurse practitioner, physician assistant, clinical nurse specialist, or other authorized staff if allowable under state licensure laws) of the disease or condition being an active diagnosis. - The physician (nurse practitioner, physician assistant, clinical nurse specialist, authorized licensed staff if allowable under state licensure laws) may specifically indicate that a diagnosis is active. Specific documentation areas in the medical record may include, but are not limited to, progress notes, admission history and physical, transfer notes, and the hospital discharge summary. - The physician (nurse practitioner, physician assistant, clinical nurse specialist or other authorized licensed staff if allowable under state licensure laws) for example, documents at the time of assessment that the patient has inadequately controlled diabetes and requires adjustment of the medication regimen. This would be sufficient documentation of an active diagnosis and would require no additional confirmation because the physician documented the diagnosis and also confirmed that the mediation regimen needed to be modified. 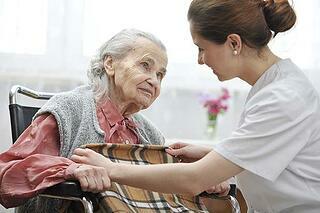 - For the purposes of the OASIS Data Set, Home Health Agencies should consider only the documented active diagnoses. A diagnosis should not be inferred by association with other conditions (e.g., “weight loss” should not be inferred to mean “malnutrition”). Example 1: Mr. A is prescribed insulin for diabetes mellitus. He requires regular blood glucose monitoring to determine whether blood glucose goals are achieved by the current medication regimen. The physician progress note documents diabetes mellitus. Response 2: Diabetes Mellitus would be checked. Rationale: This would be considered an active diagnosis because the physician progress note documents the diabetes mellitus diagnosis, and because there is ongoing medication management and glucose monitoring. Example 2: Mrs. I underwent a below the knee amputation due to gangrene associated with peripheral vascular disease. She requires dressing changes to the stump and monitoring for wound healing. In addition, peripheral pulse monitoring is ordered. The nurse practitioner’s progress note documents peripheral vascular disease and left below the knee amputation. Response 1: Peripheral Vascular Disease (PVD) would be checked. Rationale: This would be considered an active diagnosis because the nurse practitioner’s note documents the peripheral vascular disease diagnosis, with peripheral pulse monitoring and recent below the knee amputation, with dressing changes and wound status monitoring.